Thank you for volunteering your time to the Simi Valley Running Rebels. Our success is attributed to dedicated parents like you! Click on the events below to sign up. 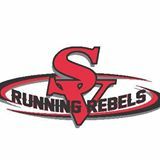 You will find descriptions of what each volunteer job entails on the svrebels.com website.